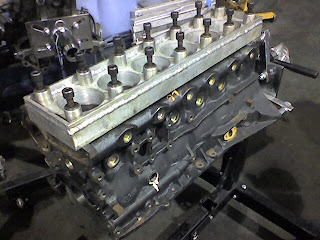 A dummy head is used to simulate the distortion put on a block by a cylinder head. When a head is bolted to the block the bolt holes pull on the block and make the cylinders slightly out of round. The dummy head allows the cylinders to be bored more evenly.